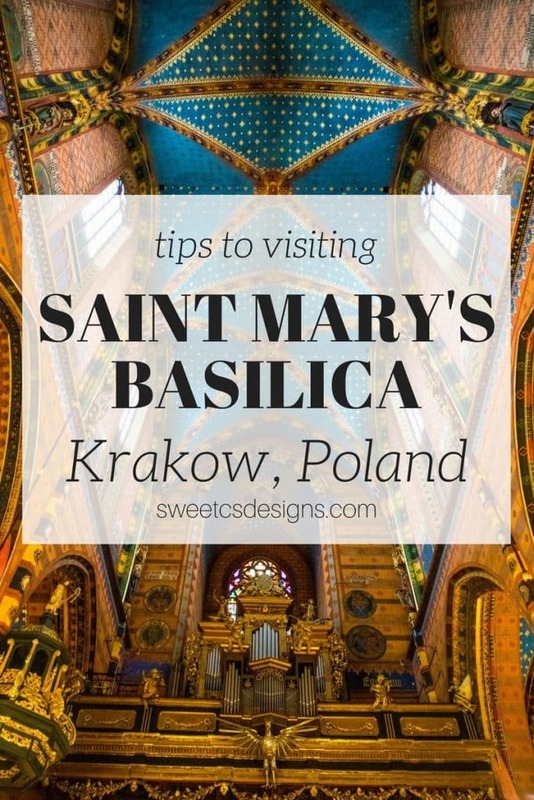 Saint Mary’s Basilica, Krakow, Poland – a gothic Catholic church that stands over Krakow’s old town – home to the Trumpeter of Krakow and beautiful medieval details. Saint Mary’s is home to priceless art, soaring arches, and an intriguing legend – and you can hear the bells and trumpeter ringing out throughout the old town area of Krakow. 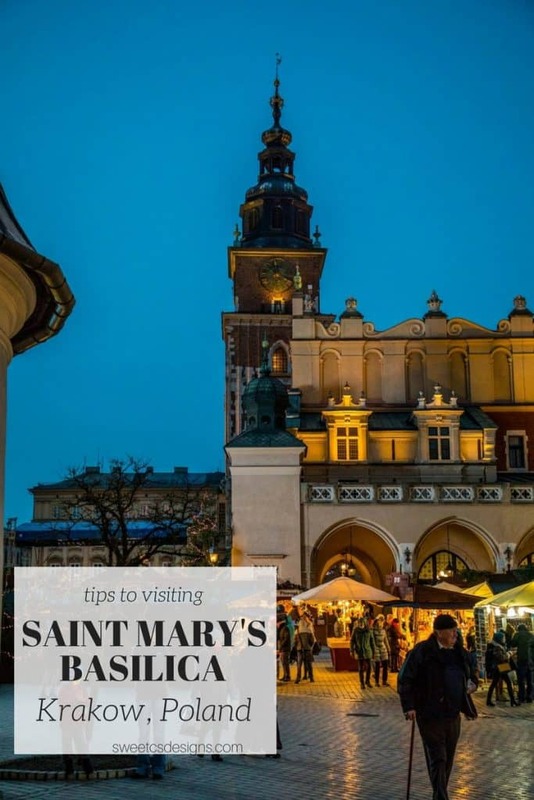 In the very predominantly Catholic country of Poland, Catholic churches are a dime a dozen – but Saint Mary’s is clearly the focal point of the market square in the old town area of Krakow. 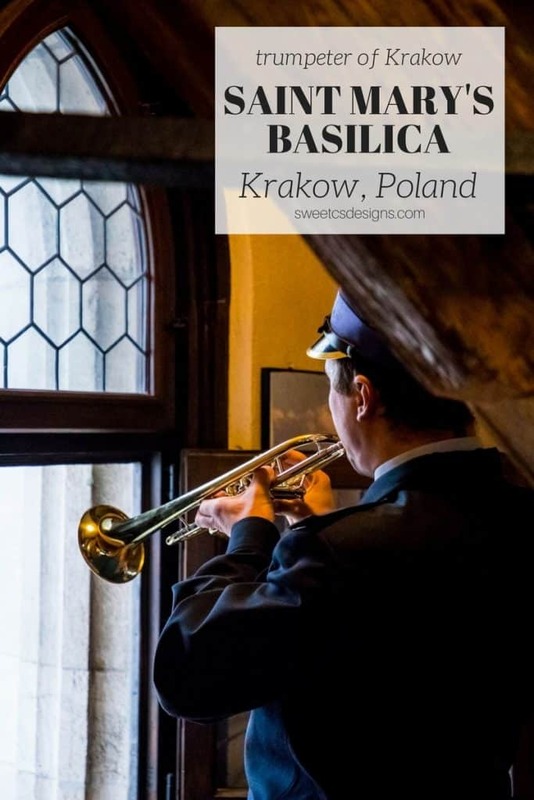 Every hour on the hour, a trumpeter calls out the Hejnal mariacki, a traditional Polish tune (also called the Krakow Anthem). My friends and I were dying to head up to see the trumpeter – and it was a completely amazing experience. To climb the tower, you need to get a ticket – which you can buy in the small tourist information office right across from the cathedral to the east. It is a small fee, and allows you entrance at a specific time to climb up the very tall tower (unfortunately there is no provision for handicap access, and stairs are quite steep- you need to be in decent shape to climb them). In summer, I would plan ahead and buy your time early, as the area at the top is quite small and only holds a few people. When at the top, wait patiently, and soon the trumpeter will emerge! The trumpeter opens small windows on the north, south, east, and west to play his tune, so the entire city can hear. When it is done, he heads back into his office to keep watching over the city, read a book, and wait for the next trumpet call. Traditionally, the trumpeter was to sit to watch for fires (since so many medieval cities were demolished by fires, this makes perfect sense) but today, I have to think it’s a bit more to keep the custom and tradition alive. While this tale isn’t exactly true, it might not be too far off of something that could have happened – just probably not right at the site of Saint Mary’s. And while not accurate, the tale of the trumpeter sounding the alarm to save the Market square and Saint Mary’s from an invading army does also invoke the pride Poles have that their jewel city Krakow saw numerous invasions, world wars, the holocaust, and soviet occupation – but like the church, they still stand. Our tour guide told us that while there is a bathroom nowadays, for a long time there wasn’t – and the fireman on his 24 hour duty was to stay in the tower and run down when needed. Can you imagine what a pain that would be? I was completely winded just heading up the stairs once – I’d need some serious training to be a trumpeter! From the top of the tower, you can get amazing views of Krakow and the Polish countryside. 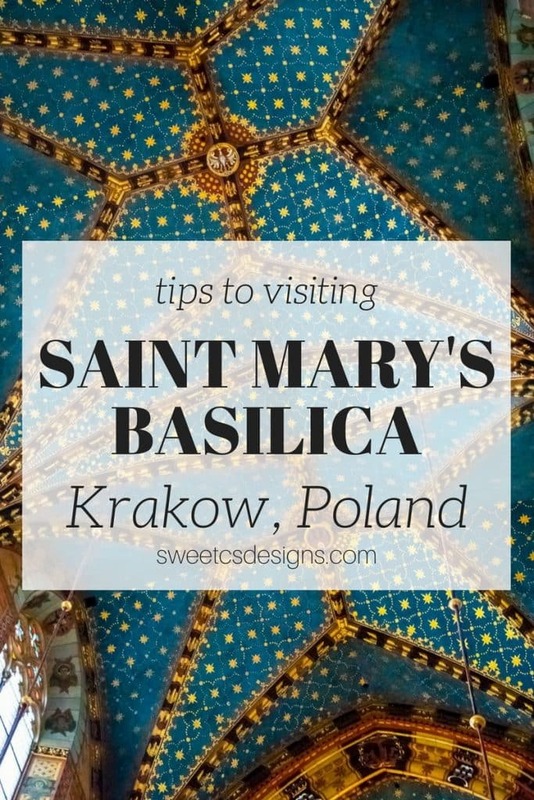 Poland is one of my absolute favorite places to visit – and climbing to the top of Saint Mary’s basilica should be top for anyone visiting. It is such a magical, moving experience, steeped in tradition – in one of the most picturesque and romantic cities in the world! 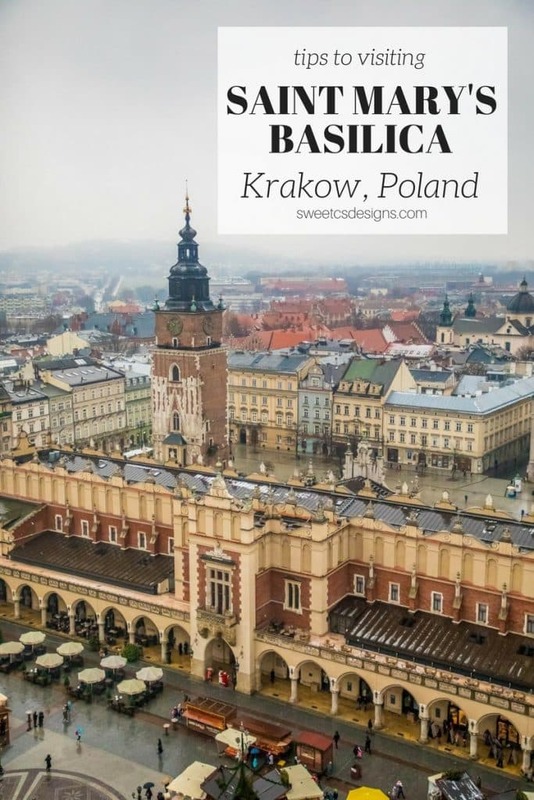 If you’re in Krakow, be sure to connect with the Krakow City Council for tourist information. 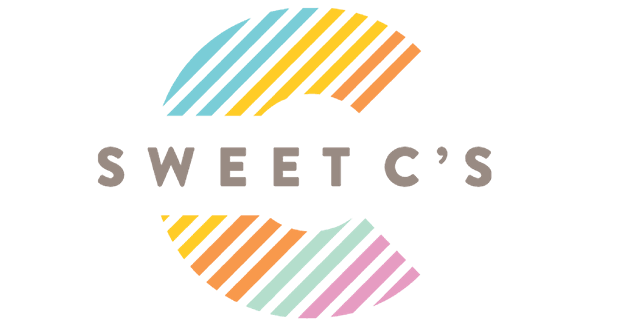 If you’re looking for a fabulous tour guide, Pawel was the BEST – (pronounced “Pa-vel” as W’s are V’s in Polish) – he was full of knowledge, was really fun and had great restaurant ideas, and was super sweet.